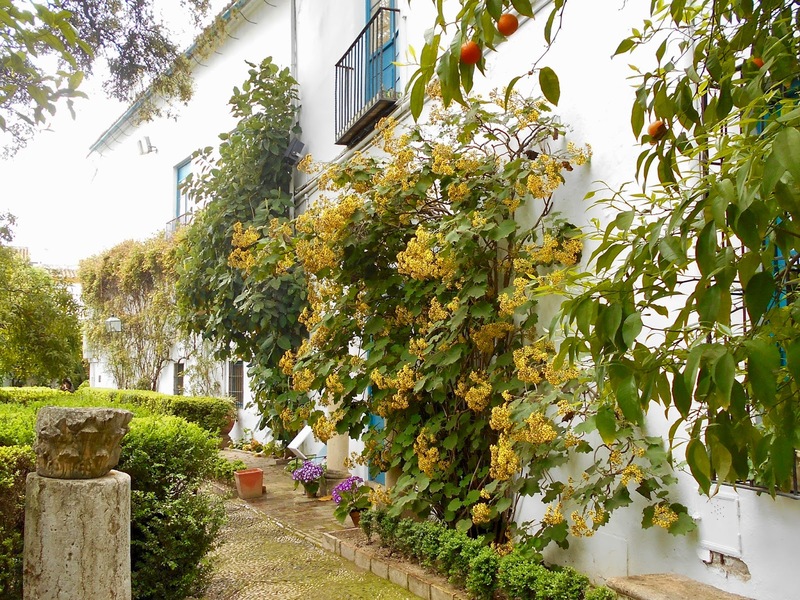 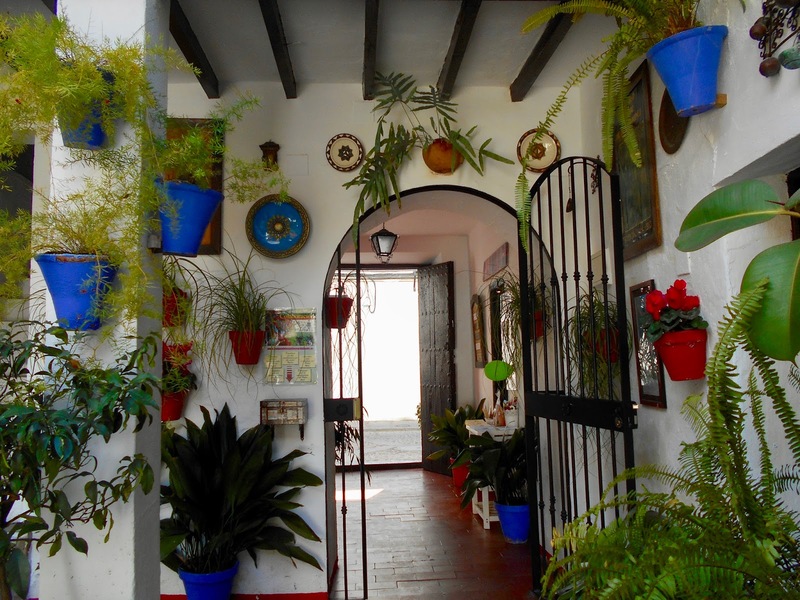 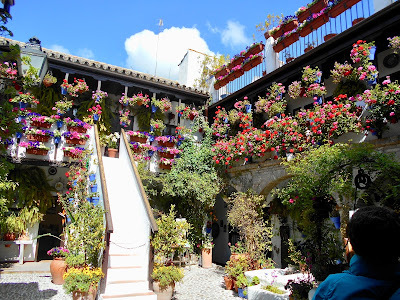 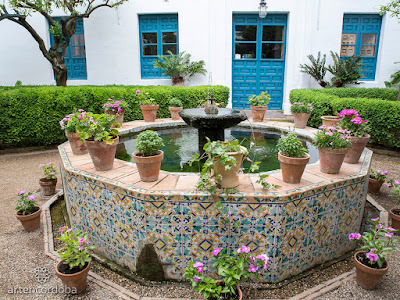 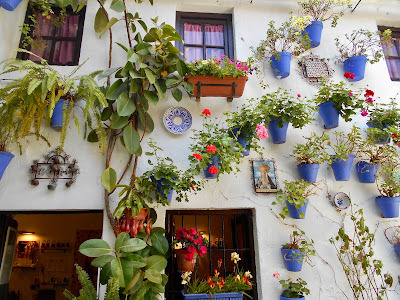 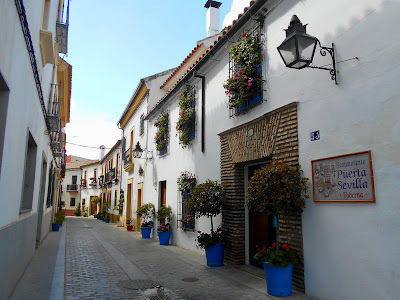 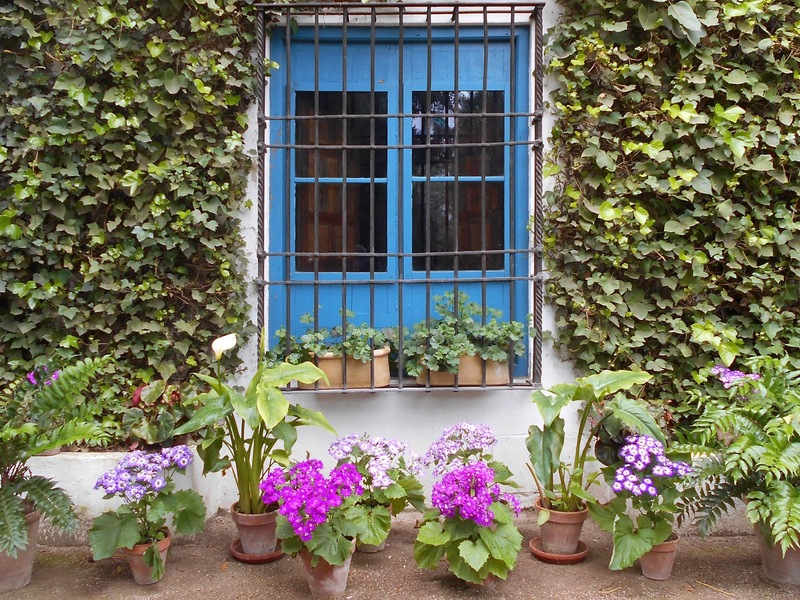 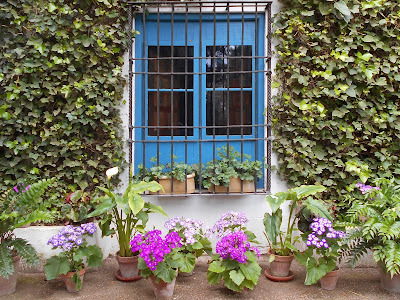 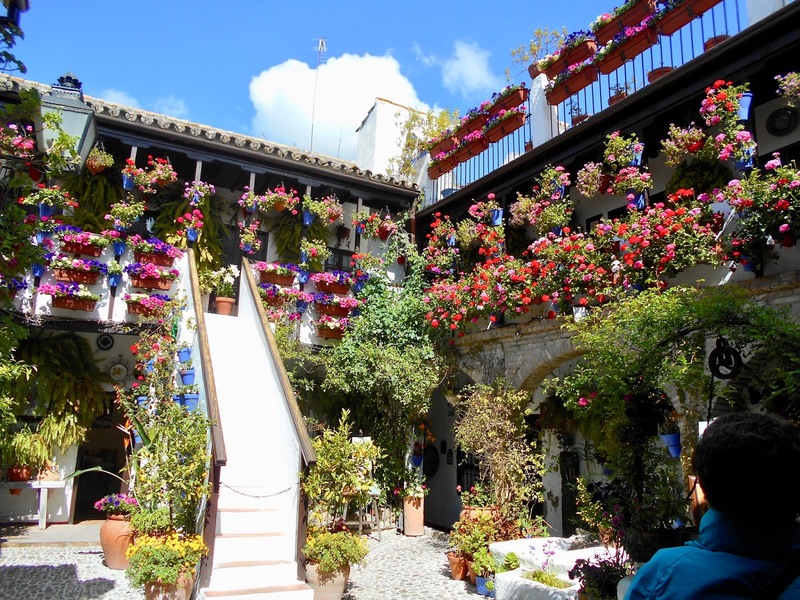 Potted plants and flowers were added over the centuries and now these patios (the Spanish word for courtyard) have become synonymous with Cordoba. 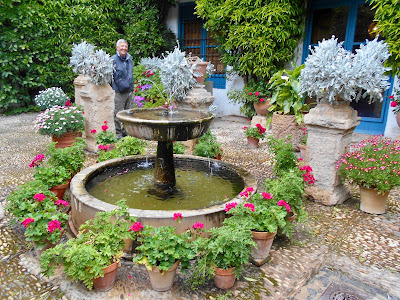 Each year in May the city holds a Patio Festival. 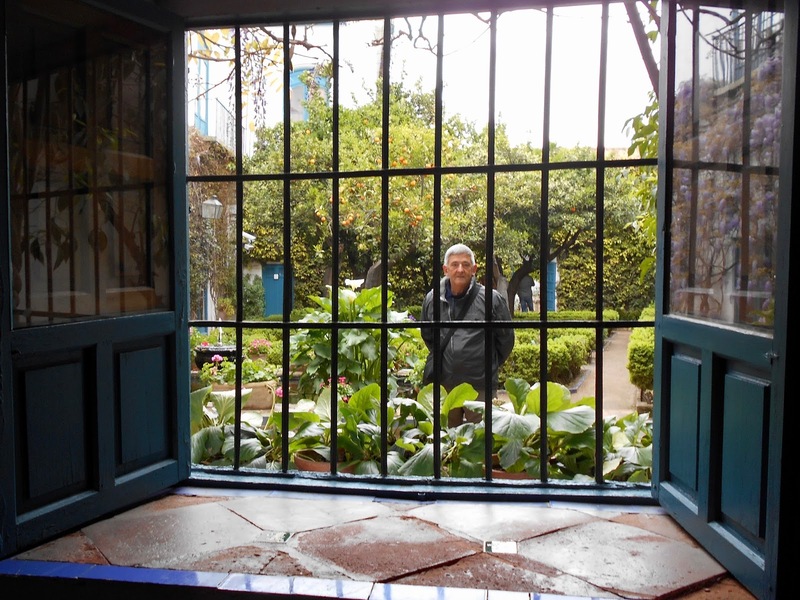 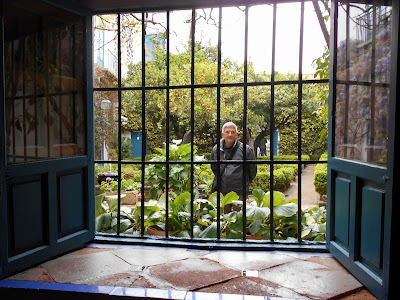 We may have missed out on the festival, but while we were in Cordoba in March we made certain to see as many courtyards as possible. 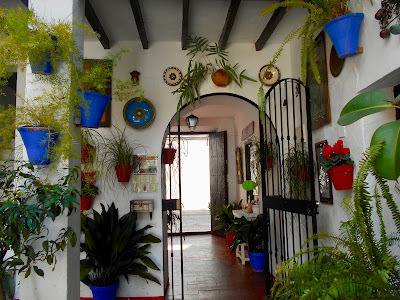 The first we stumbled upon by chance while visiting a leather shop. Initially we assumed this next patio, located not far from the restaurant, was a shop to showcase a single artist, but soon discovered a group of local artisans had set up numerous shops in the rooms that surround the courtyard. 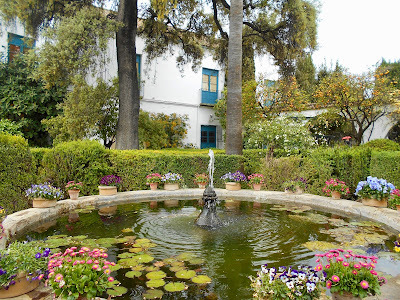 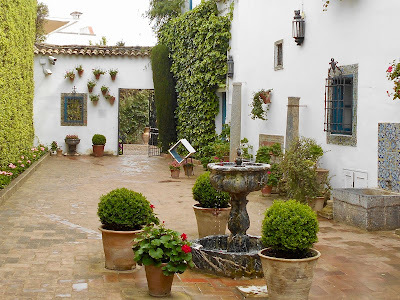 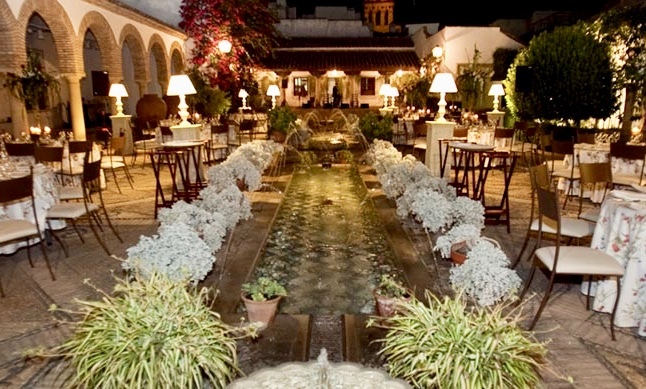 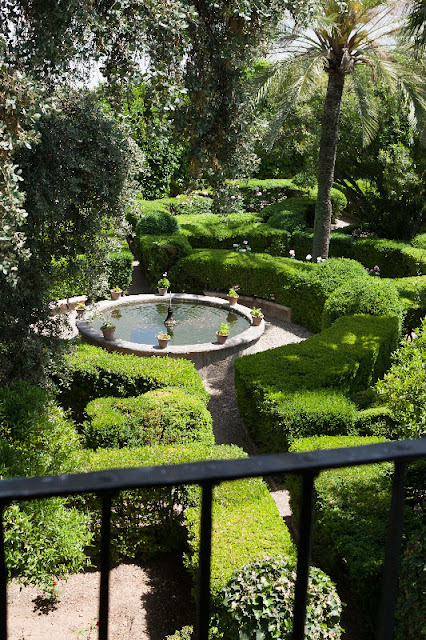 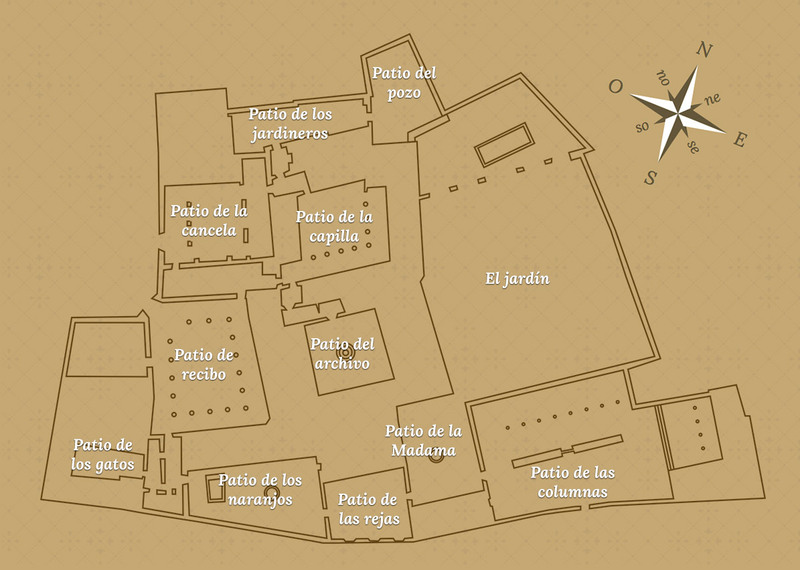 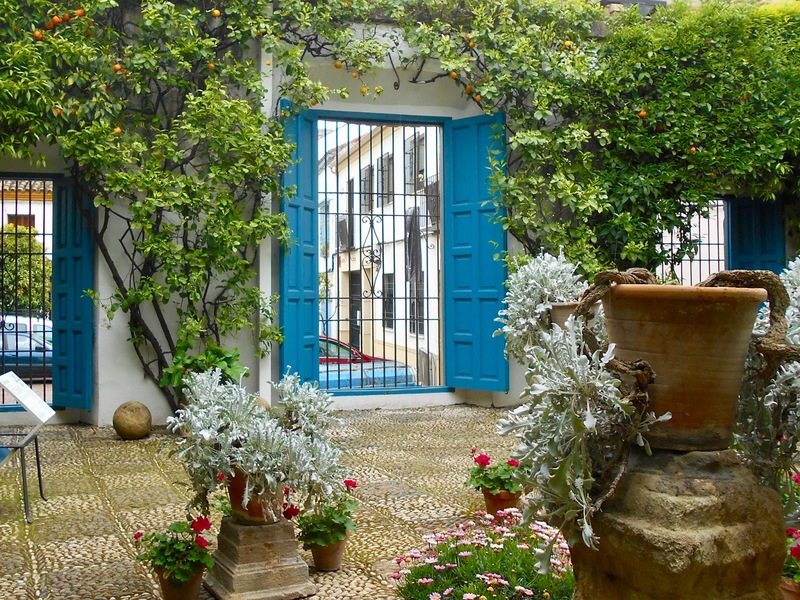 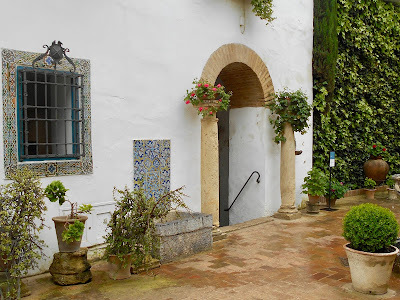 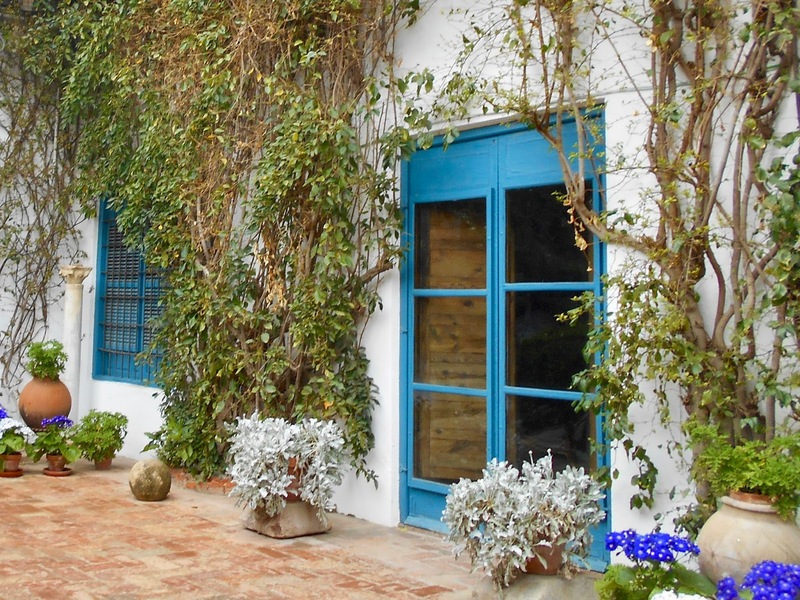 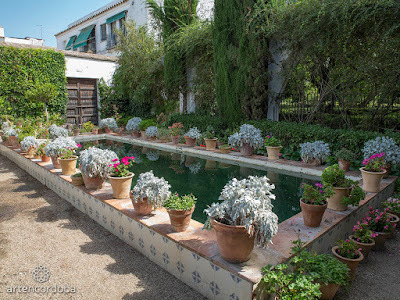 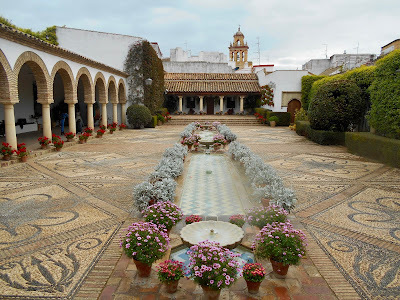 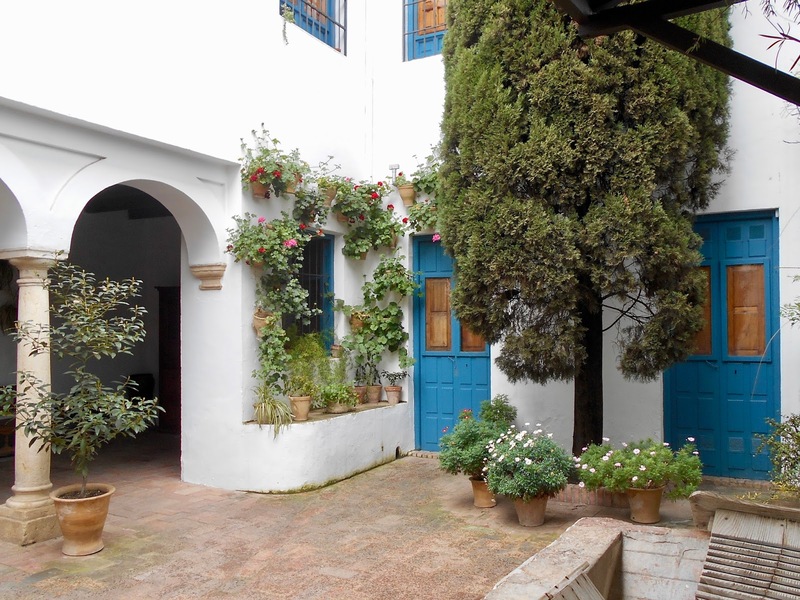 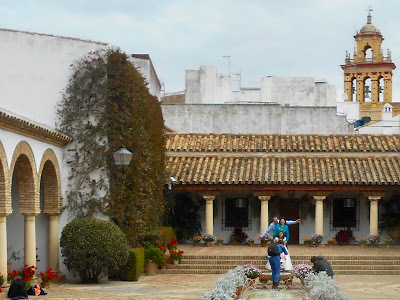 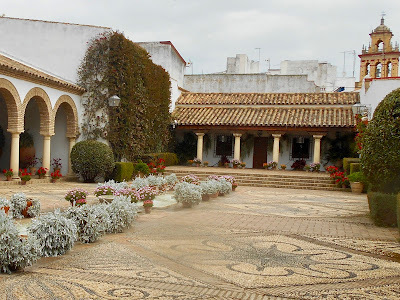 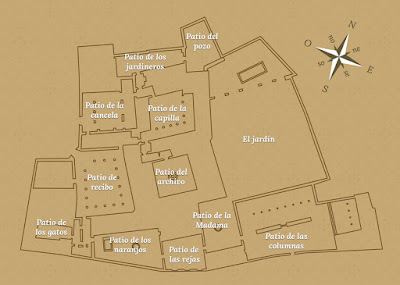 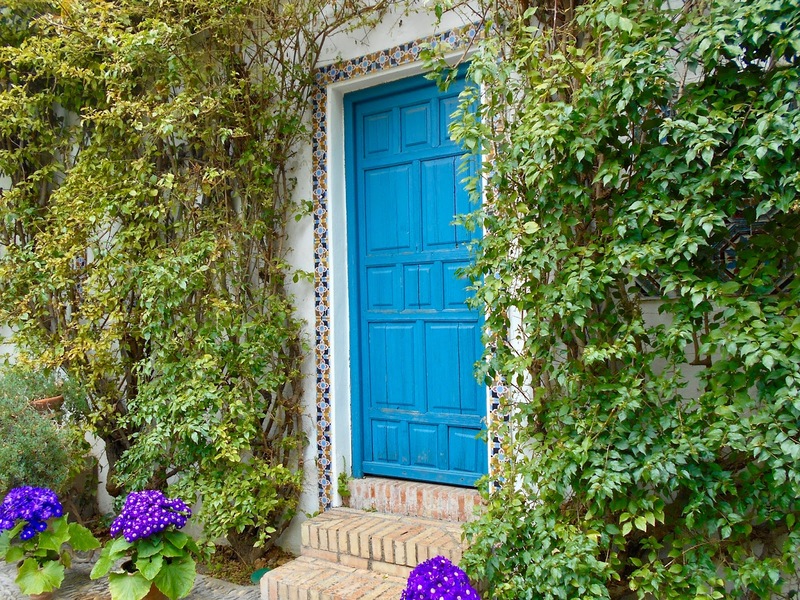 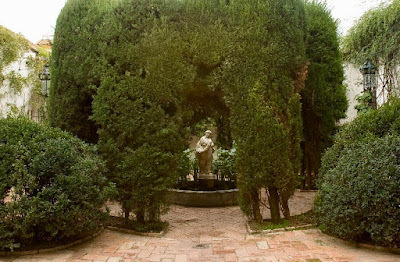 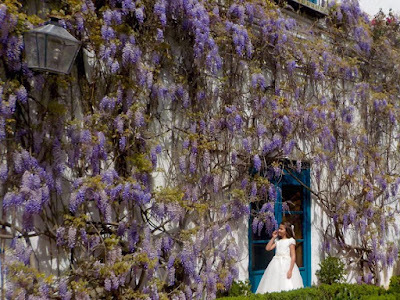 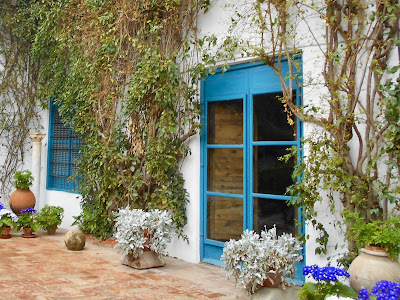 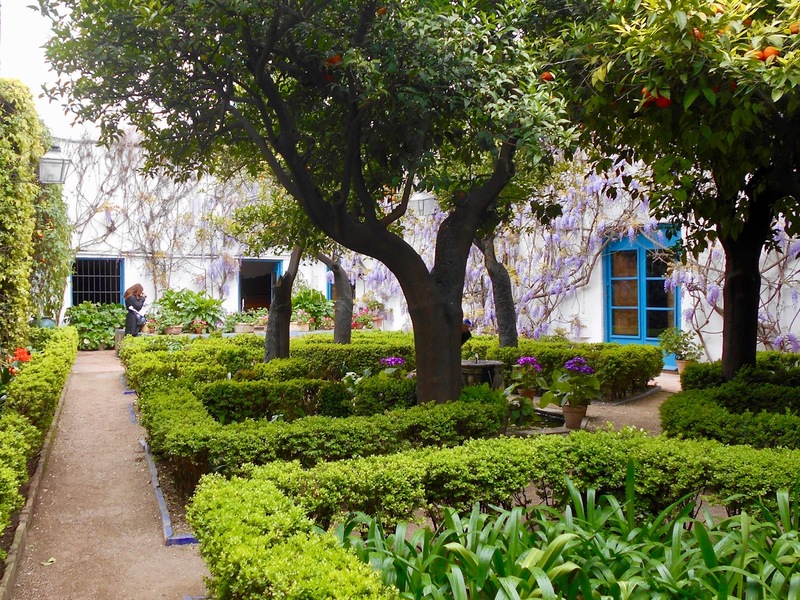 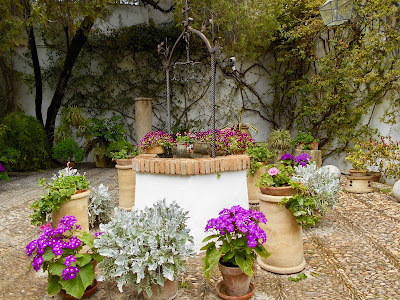 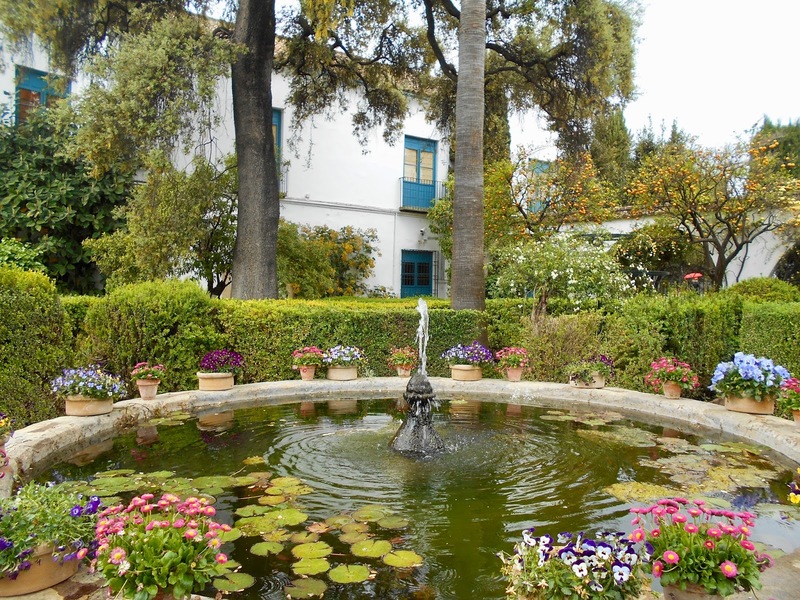 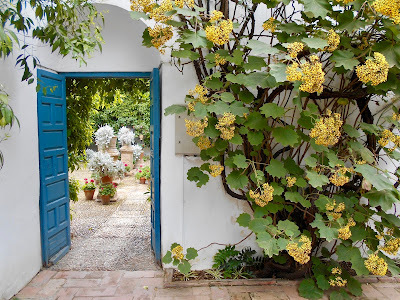 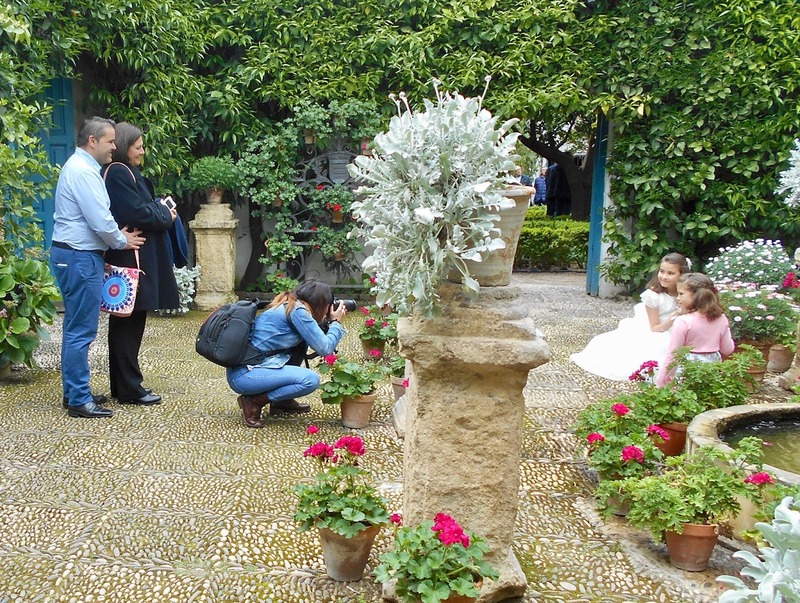 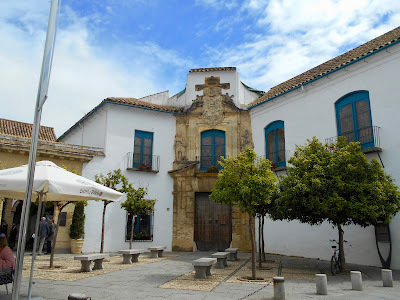 The Palace of Viana, however, is THE place to view courtyards in Cordoba. 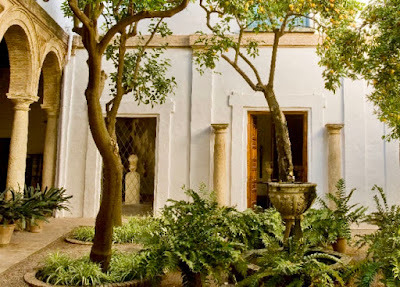 It was once home to an aristocratic family and dates back the the 15th century, but now showcases twelve magnificent courtyards. 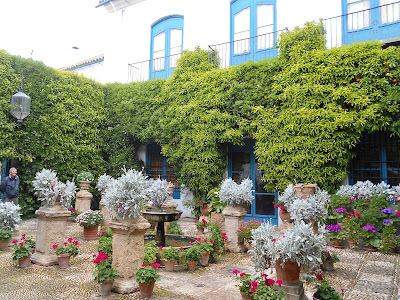 While the final courtyard is not included with the original twelve it is no less spectacular. Constructed in the 1980s it is available to rent for special occasions and can hold up to 300 people. 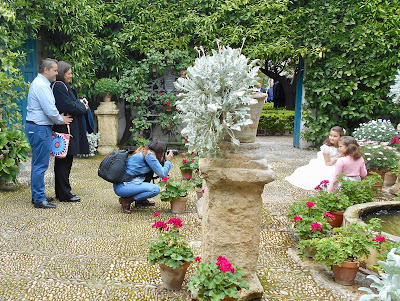 During our visit we could not help but notice this family photo shoot - perhaps to commemorate the little girl's confirmation. 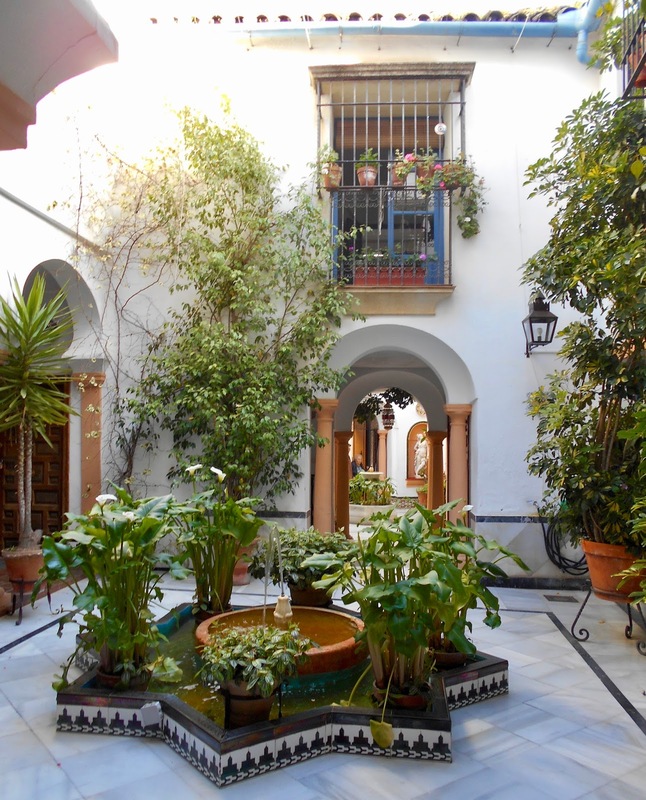 We barely scratched the surface when it came to courtyards in Cordoba, but we hope to return one day to experience more of these serene, beautiful patios.